It was too good of a weekend in Melbourne to waste cooped up in the house, so on Saturday morning Reviewer Nikki and myself headed in to the city for some general wandering around in the sun. We were in the vicinity of Southbank when my stomach started to rumble, so we ventured to a spot in Melbourne I've been to quite a few times for beers - but rarely for a feed - Hophaus. 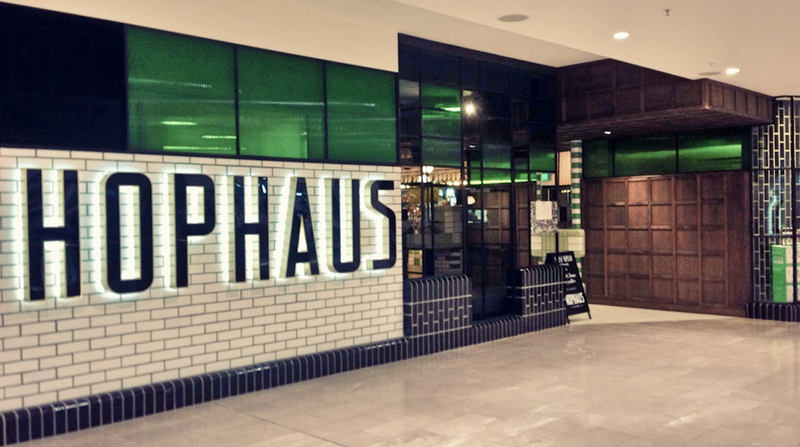 If you haven't been before Hophaus is a pub on the second floor of Southbank Promenade that specialises in Bavarian beer and food, and with over 30 taps you're sure to find something to wet your whistle. I was very tempted to get the $16 stein of Bitburger Pils, which is what I'd normally get on my visits to Hophaus, but again, it was only 11:30 and didn't want to feel like a complete drunk while ducking out for a quiet brunch. Now I get to talk about one of my favourite things that they sell at Hophaus, the Fried Potato Salad, which comes as a side to most of the dishes on the menu. If you haven't had it before, the best way I can describe it is "freshly cooked, hot salt and vinegar chips", and if you've had them before you'll agree with me. the potates are sliced wafer then, deep fried, seasoned, topped with vinegar and served piping hot. It's probably the unhealthiest "Salad" I've seen in my life, but damn its tasty. While it looks damn tasty, our naive parma-addled Australian brains assumed "Schnitzel" meant "chicken schnitzel". The menu doesn't actually specify what kind of meat is used in the jäegerschnitzel, and additional research shows there is even debate amongst the German cuisine folks as to whether it should use pork or veal. It was enjoyable, and tasty - the mushrooms and other toppings were piled sky-high and delicious - However we were expecting chicken (our mistake, I know), and not knowing exactly what meat the jäegerschnitzel was (in the end we decided it was pork... I think), took away from our enjoyment of it a little. EDIT 1/10/15 - WE'VE JUST BEEN INFORMED THAT, DUE TO THIS REVIEW, THE FOLKS AT HOPHAUS HAVE AMMENDED THEIR MENU TO SHOW THAT THE jäegerschnitzel IS, IN FACT, A PORK SCHNITZ, THUS DOING AWAY WITH ANY AMBIGUITY. GOOD STUFF LADS! In the end we downed our meals with gusto, I debated ordering another brat but decided another beer would probably go down just as well - which it did, then continued our day with full bellies. Hophaus feels like a modernised version of Hofbräuhaus, good food and beers without the pageantry you find there. The bratwurst was fantastic and the fried potato salad is to die for, if it weren't for the "mystery meat" component of the jäegerschnitzel I'm sure we would have enjoyed that immensely as well. I'll definitely be back at Hophaus as it is fast becoming my go-to spot for any occasion that I find myself at Southbank. Worth a look. I awoke on Saturday morning with a hankering ... A hankering for a good burger. 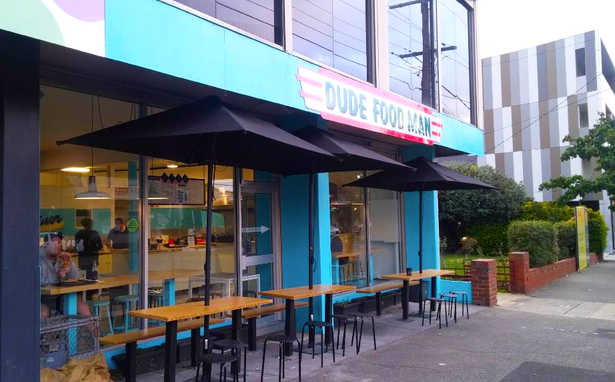 I considered visiting one of my favourite spots in the Essendon area - Demazzi Stonegrill, but as I've already done a post about them I figured I'd expand my horizons a little, head down Buckley Street and check out Food-truck-turned-permanent-store the Dude Food Man. I shot out some messages to the review team to see if anyone would be up for joining me and Reviewer Fridge was on board, I headed to Essendon and (after a quick pint or two at The Linc) wandered down and met him at the Dude Food Man. I went with the Ultimate Double Cheese & Bacon Burger, while Fridge went for the Southern Fried Chicken burger, and we both gave in to temptation and went for the mac & cheese slappers on the side. nawww, they make a cute couple, don't they? It's been a while since I indulged in a good burger, and hot damn I made the right choice in the Dude Food Man. Biting into this burger was pure greasy heart-stopping heaven. The wagyu patties were grilled to a perfect medium (I'm normally a medium-well kind've guy, but I'll be damned if they didn't sell me on medium). The double smoked bacon worked perfectly with the smokey BBQ sauce that really drove home the flavour. I didn't want it to end, and from the way neither Fridge and I were eating in complete silence, he felt the same about his chicken burger. I don't know why but I had it in my head that you wouldn't be able to taste the mac and cheese in the slappers, that they would somehow taste different to a bowl of mac & cheese. I couldn't have been more wrong - these geniuses have come up with a way to portably eat mac and cheese without the need for cutlery (something I'm still waiting for someone to work out how to do well with a parma). Absolutely divine - between us we had three each, and was I not concerned another serve would drive me to an early grave I definitely would've headed back for round 2. They also came with a dipping sauce that I can best describe as Big Mac sauce with extra spice - I haven't come across anything quite like it before, and it worked great with the slappers (I think it'd go great with a lot of things). The only way they could improve the Dude Food Man would be to put in a tap or two so I could get a beer, although if I could get a beer there I'd probably never leave ... so its probably for the best that they don't. Lets cut right to it - Demazzi's would have to be one of my favourite spots in the Essendon area. We've done a review of the parma in the past - but last night the glorious weather inspired Reviewer Nikki (my partner in crime) and myself to stop in for a quick dinner in the sun. I mentioned it briefly in the parma review, but Demazzi's signature "thing" is stonegrill, wherein your steak is delivered to your table raw, sitting atop a slab volcanic stone heated to 550 degrees, which you proceed to cook yourself while sitting at the table. It's kind've a novelty, a bit of fun, but there's something fantastic about every mouthful of a steak remaining piping hot from start to finish as if you're eating it directly off the barbecue (which you essentially are). My one issue with stonegrill is that its work at a time you want to be relaxed. Kind've like the difference between driving yourself or calling an Uber - sure driving can be fun, but sometimes you just want to kick back, enjoy the ride and have all the work done for you. I was in one of these moods last night, so when we arrived at Demazzi's last night I decided to explore some of the other non-stonegrill menu options. Reviewer Nikki went stonegrill and decided on the aged eye fillet, while I landed on the Philly cheese steak burger. The Louisiana spiced crispy chicken burger sounded damn tempting, but I just cannot stomach chicken thigh meat so decided to stick to the safer option (and lets face it, meat coated with cheese is kind've my thing). When the waitress tells you the plate is hot ... she really means it. The trick with stonegrill is you need to get a bit of a construction line going - Cut off a few slices and let them sizzle away on the plate for a minute, when the one you put on the grill first is ready to go, thats when you cut the new piece off the slab and get that going. I stole a couple of dips of the mushroom sauce with my chips and it was also damn tasty - rich, creamy and not tight on the pieces of freshly sliced mushroom throughout. But enough about food that I didn't eat ... on to the cheese steak! I really enjoyed this dish. The steak was plentiful and oh-so-tender. The cheese was gooey, flavourful and everywhere. It was topped with a creamy mayonnaise that was pretty much a house-made replica of Big Mac sauce and again, worked well with the rest of the elements. The coleslaw was crisp and fresh and complimented the dish also. I'm normally not a huge fan of brioche - I could take it or leave it over a normal burger bun, but in this case the sweetness wasn't overpowering at all. It was very lightly toasted with just the right amount of crunch - It all just worked. Oh and I didn't mention the pickles as I'm not really a pickle-fan, they were promptly picked off and handed over to the wife. The chips were fantastic. Well cooked, served in a separate fryer basket and dusted liberally with chicken salt and herbs. A great accompaniment for a great meal. When I went off-stonegrill for my menu selection last night I was a little worried, especially when the eye fillet hit the table I definitely felt a twang of food envy - but all my fears were allayed when I bit into the cheese steak, and I definitely feel that $19.90 is a reasonable price for what I got (deliciousness for under twenty bucks? No problems there) It was a fantastic dinner that I'd definitely get again ... If I have the will to resist the stonegrill a second time. Thanks for reading to the end of a review! You, my friend, are made of awesome. If you're not doing anything tomorrow for lunch or dinner (Thursday April 2nd) then consider getting down to either The Racecourse Hotel or The Rosstown Hotel. 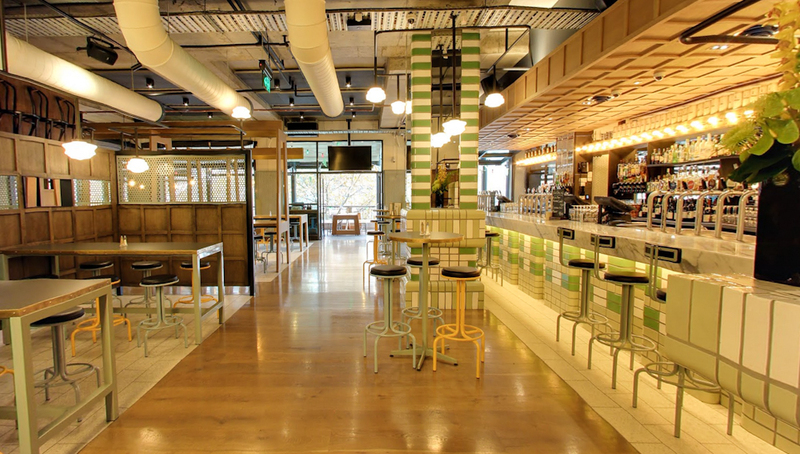 Both pubs are hosting a charity event from 12 noon till 9pm on Thursday wherein 100% of the profits from every $25 'parma n pot' deal sold is going straight to the Good Friday Appeal... This isn't a small donation per parma sold, this is all $25 for every parma n pot sold straight to help kids in need. I had no hand in organising this event, but I wouldn't be here without the Royal Children's, so I'm doing my darndest to get the word out. We will be at The Racecourse enjoying a parma on Thursday night ... hope to see you there! It may surprise you to know, my dear reader, that I don't indulge in a parma for every meal of the week (a shocking revelation, I know, someone call TMZ). I enjoy a lot of food at other spots that aren't parmas which I have always wanted to share yet have felt bound by the unwritten laws of ParmaDaze to only write about chicken, chips and salad. Well its time for this chicken to spread his wings. So lets consider this an experiment, this may be the start of a new era for the site, it may be the last time you ever see an "Other Daze" post, as Einstein said in the opening cutscene for Command & Conquer: Red Alert - "Time will tell". Oh and before we get started I want to make it perfectly clear that these posts, whenever they turn up, will not affect the weekly parma review. You'll still get a full review of a new parma each and every week as usual. This isn't a replacement, its an added extra. Anyway, I've blathered on long enough - On to the good stuff! I had heard about Arbory a couple of weeks back when friend of the site Jimmies Burgers posted a photo of this amazing looking burger. I looked into the pub in the hopes that there would be a new parma for us to try (there isn't, FYI) and my curiosity was instantly piqued. Built on flinders walk, between the station and the river, running the entire span between the St. Kilda Rd. bridge and the footbridge with all the padlocks on it (the one that Nicholas Cage rode his flaming motorbike over in the first Ghost Rider movie). After reading about the pub I wanted to check it out, and attempted to stop in for a quick pint before last week's parma review at P.J. O'Briens, directly across the river, but was met with two of the most depressing words a pub enthusiast can hear. Private function. So I left it and forgot about it for a few days, until I was in the city on Sunday morning and found myself with the need to kill an hour. 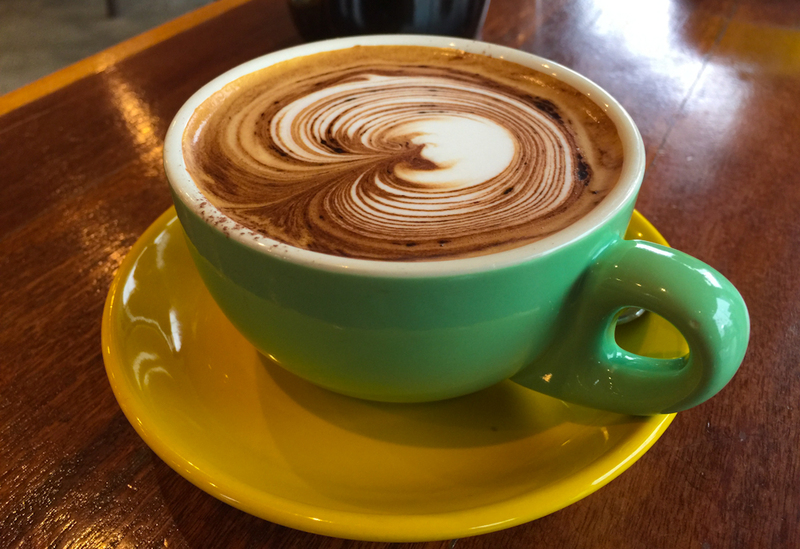 It was slightly too early for a beer (although a few blokes I spied at Young & Jacksons on the way past didn't think so) so I decided to kill two birds with one stone - get my brekky on and finally see what all the fuss is about at Arbory. First up - The use of the space is just plain genius. Yes the pub is narrow, but at no point did I feel cramped. The sound of the trains chugging through the station is almost therapeutic, and the unfettered view of the river is just remarkable. It was getting close to 10:30 on Sunday morning, and while there were a few people enjoying breakfast it was by no means busy. There was a chill in the air but you wouldn't notice with the abundance of patio heaters, almost one per table. 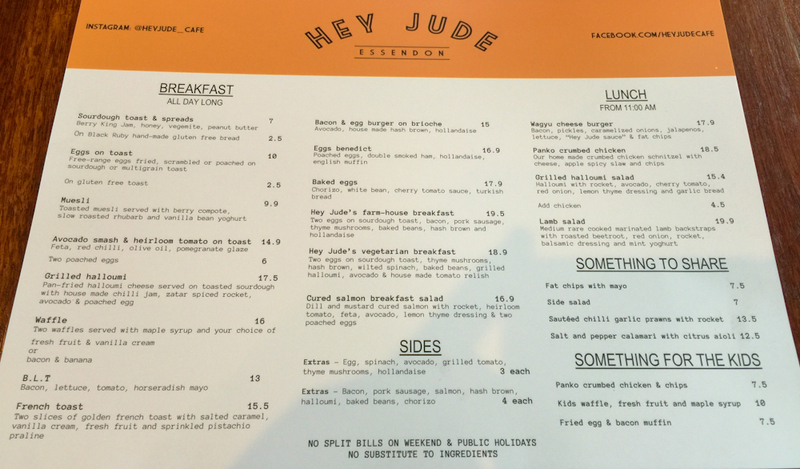 I was eating with devoted ParmaDaze regular Reviewer Nikki, she ordered the Mozzarella & Bacon Toastie while I chose the lighter option and went with the Coconut Bircher Muesli. We retuned to our table and soaked in the serenity while awaiting our breakfast. Instant food envy the moment the dishes hit the table - That toastie looked sublime, and even though the muesli was quite tasty in its own right its hard to go past a bacon and cheese sandwich. And they weren't tight with the bacon! Generous lashing after lashing filled the sandwich. The egg on top was appreciated but seemed a bit confused - are you supposed to eat it with a knife and fork off the top? to eat it like a sandwich with the egg still on board? or open up the sandwich and slip the egg inside? (the latter being what Nikki ended up doing). The muesli was great also. The macerated pineapple was sliced so thinly it was almost shaved. I've never been a big fan of pineapple but I think its only because I've only ever had it served in massive chunks - this was the perfect way to enjoy it, adding a subtle and not at all overpowering flavour to the dish. I was also a big fan of the pecans, adding a much enjoyed crunch to the texture of the meal. And that's all she wrote! I was a massive fan of Arbory and will definitely be back. I'm very keen to drop in and enjoy a few beers on a Saturday or Sunday arvo before the sunny days disappear for the year (and to try those amazing looking burgers). 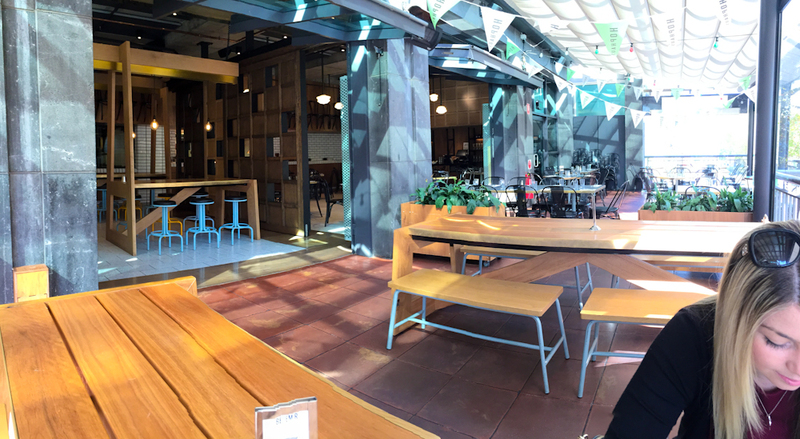 If you're in the city it's definitely worth a shot (They're open every day from 7:30 if you feel like checking it out) - I've got a feeling Arbory will fast become one of my favourite spots in the CBD. Now we just need them to get a parma on the menu.